(RALEIGH, N.C.) — In the words of the Cowardly Lion: “Unusual weather we’re having, ain’t it?” Yes, indeed. So how do we know what’s in store for us over the next several weeks? Ask an oversized rodent, of course. 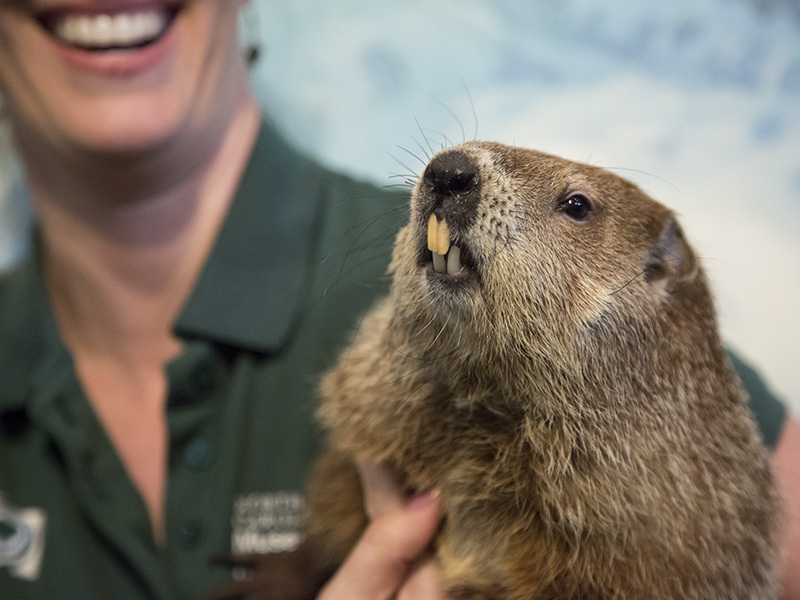 Don’t miss Sir Walter Raleigh as he makes his annual Groundhog Day appearance at the North Carolina Museum of Natural Sciences on Saturday, Feb. 2. This year’s expanded event is held 9 a.m. to 4 p.m., with a shadow ceremony beginning promptly at noon just outside the Museum’s front entrance. Raleigh Mayor Nancy McFarlane will join Museum educator Chris Smith to assist Wally with the forecast. Each year crowds wait in nervous anticipation to see if Wally sees his shadow. If he does, we’re in for six more weeks of winter! In recent years Wally has been gaining national recognition with his amazing accuracy and is regularly featured on The Weather Channel’s list of national Groundhog Day representatives. Before and after the ceremony, visitors can peruse educational stations on the first through third floors of the Museum. There will be information on Animals in Winter, Signs of Spring, the History of Groundhog Day and more, as well as fun games and activities including the Groundhog Toss and making your own groundhog headbands. For kids six and under there will be special programs about Animals in Winter (featuring live animals) throughout the day in the Windows on the World theater on the third floor.